From Goodreads ~ Mike Filey's "The Way We Were" column in the Toronto Sun continues to be one of the paper's most popular features. In Toronto Sketches 3, the third volume in Dundurn Press's Toronto Sketches series, Filey brings together some of the best of his columns. Each column looks at Toronto as it was, and contributes to our understanding of how Toronto became what it is. 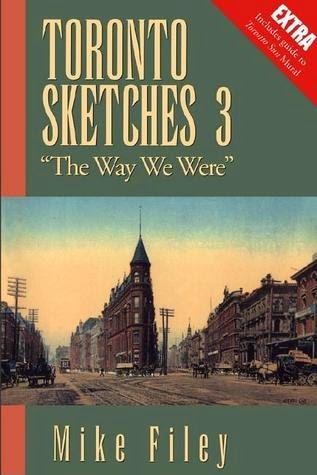 Illustrated with photographs of the city's people and places of the past, Toronto Sketches is a nostalgic journey for the long-time Torontonian, and a voyage of discovery for the newcomer. Mike Filey had a column in the Toronto Sun for about 30 years and I read it for many years (I like learning about the history of Toronto) ... this book is a compilation of some of his columns. 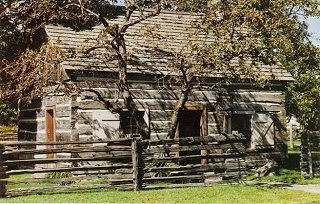 We learn about Roy Thompson and why there is a hall named after him, the history of Union Station(s), the Scadding Cabin (Toronto's oldest house), Woolworths, etc. Even though the book was published in 1994, it was still an interesting book because it dealt with many historical events in Toronto. Plus since it was published in 1994, it was interesting to see what was going on back then and what has changed. For example, Filey devotes many pages to the mural that was on the Toronto Sun building which was still being done when this book was published. 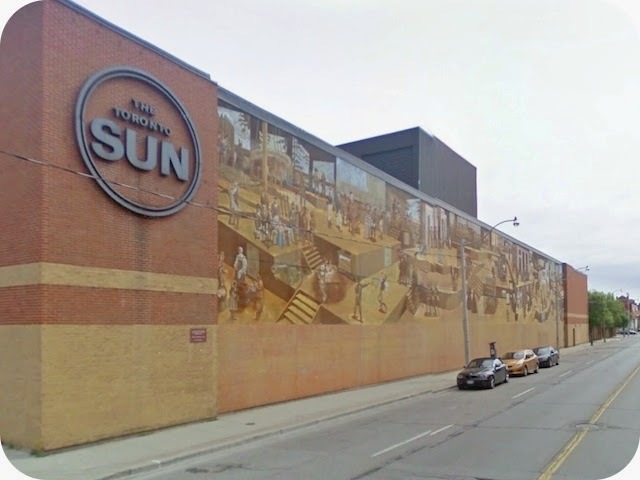 To mark Toronto’s bicentennial in 1993, the Toronto Sun had commissioned a large mural (180 feet long and 25 feet high) for the side of its building. 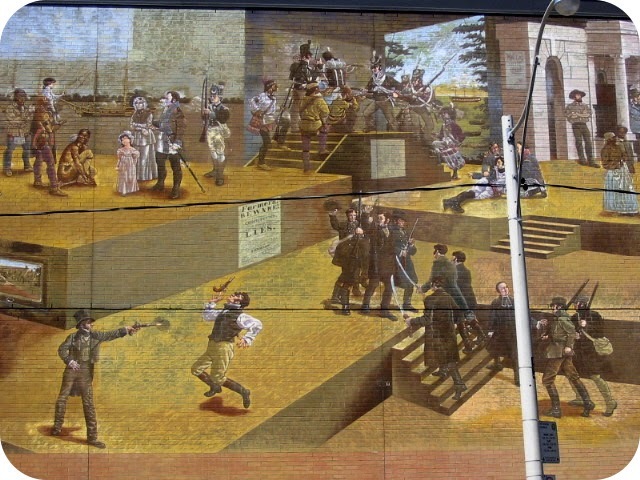 Called “History as Theatre, 200 Toronto Years,” the mural consisted of 32 vignettes about the city, ranging from First Nations inhabitants to the official naming of the city of York and right through to the streetcar. It was taken down in June 2011. If you live in Toronto or are from Toronto, you should check it out.